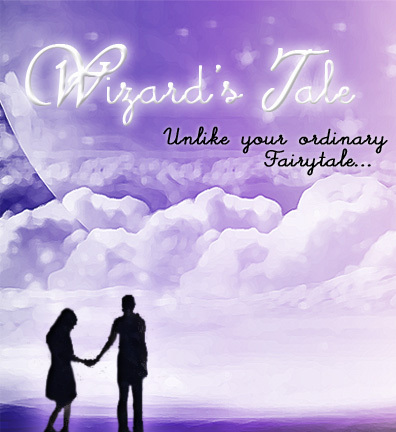 Alyanna Rohan never believed in fairy tales and happy endings. At the age of seven, her parents died and she had no choice but to live with her evil aunt and despicable cousin. She was forced to work at a young age and to suffer pain, hunger and loneliness with them. Despite the hardship, she was still hoping for a better future since her eighteenth birthday was soon to come. That meant Yana can already claim the money and assets that her parents left for her. But her life turned into a mess when her loathsome relatives deceived her and stole all her money at the bank. They abandoned her with nothing. Yana's future was in chaos and now she was twice as miserable! All her dreams just disappeared! Even her fantasy of going to college vanished as well! She got nowhere to go and her only chance of survival was to accept an old man's advice that she should work for a guy named Brylle Zaffiro. Yana found her way to Brylle's house and there she attested that she will never be a fan of fairy tales! That was because the sudden twist in her life made it clear that the reality she was facing was way more magical, absolutely thrilling, and surprisingly romantic! wow! galing at ganda ng mga photo releases ate! turuan mu nga ako sa photoshop na yan! nde ko magagawa yan sa meituxiuxiu eh. Hindi nah po toh mababasa sah online?????? Bat ngayon ko lang nabalitaan tong Wizards Tale. Kailangan kong makabili ng book. Avail pa sya Miss.A sa lahat ng Bookstore? Thanks.